Previous diagnosis of squamous cell carcinoma of the tongue. Parotid tumefaction in slow growth for years. Aggregates of epithelial cells with oxyphilic cytoplasms mixed with some lymphocytes, histiocytes, and red blood cells. 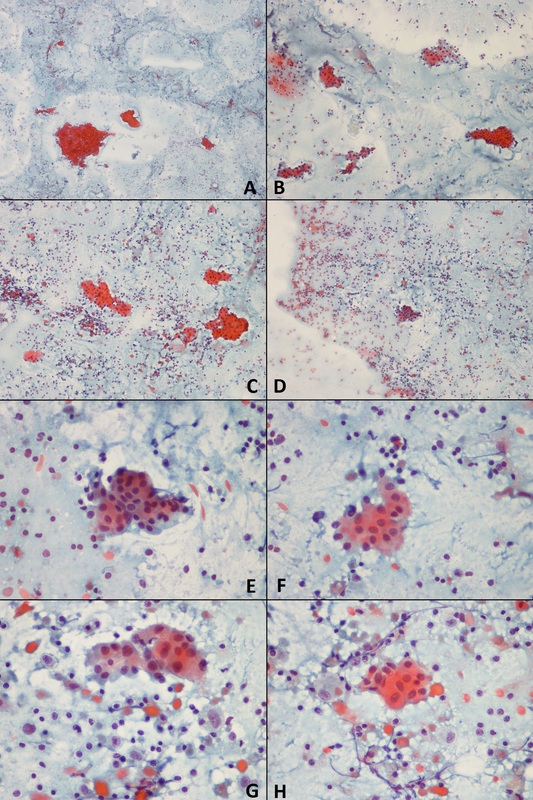 Cytological findings compatible with Warthin’s tumor. I like such quizzes and I highly appreciate your effort.